This café in Sanjo Street, Sweets Café Kyoto Keizo, is located in an old, renovated Kyoto town house, so it is very easy to notice. Once you step into the café, you are surrounded by wood and the hanging scrolls and other artwork they have display; it almost feels like you have stepped into an art gallery. 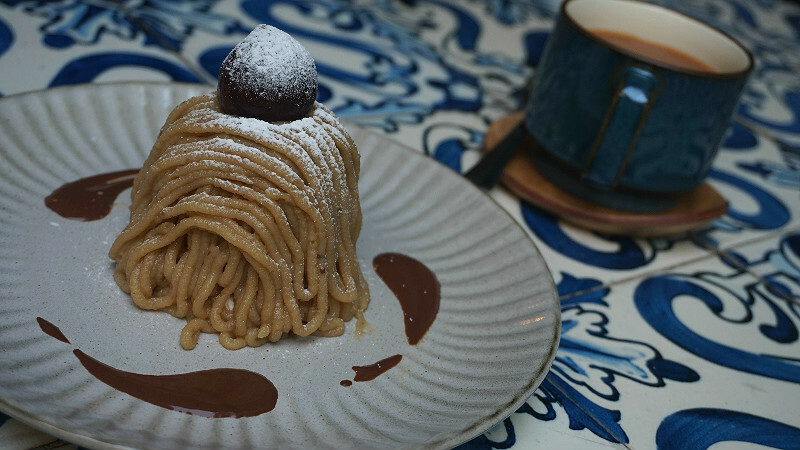 This café has also been featured on Japanese television programs, and they are famous for their Mont Blanc cake with a best-before date of just 10 minutes. Besides the Mont Blanc cakes, they also have plenty of other cakes, savory dishes, and alcoholic beverages; so they have something for everyone. Why does this Mont Blanc cake have a best-before of 10 minutes? The reason for this is in the meringue! The reason for this is in the delicate work they put into their meringues; it takes three hours to make them! For this reason when the meringues get in contact with air the texture changes as they get moister. Below it, you can find almond sponge cake, which is of course topped with pureed chestnut, so when you taste it you can feel the fragrance of chestnut all around you. After 10 minutes, the taste changes to a softer one, the puree and meringue become one, so the cake is still delicious even after 10 minutes! Because they have so many different kinds of cakes, many people couldn’t decide what to buy. This is why the owner of the café thought of this cake platter with many types of cakes on it; cheesecake, tiramisu, and the day’s tart, all this with a cup of coffee or tea makes for a great afternoon tea set. The cheesecake is thick but not too thick, the tiramisu gets a nice kick from the liquor, and the today’s tart on the picture is a pear tart with a nice balance between sweet and sour, and a very crispy crust. If you can’t decide what to get, this is a great choice. 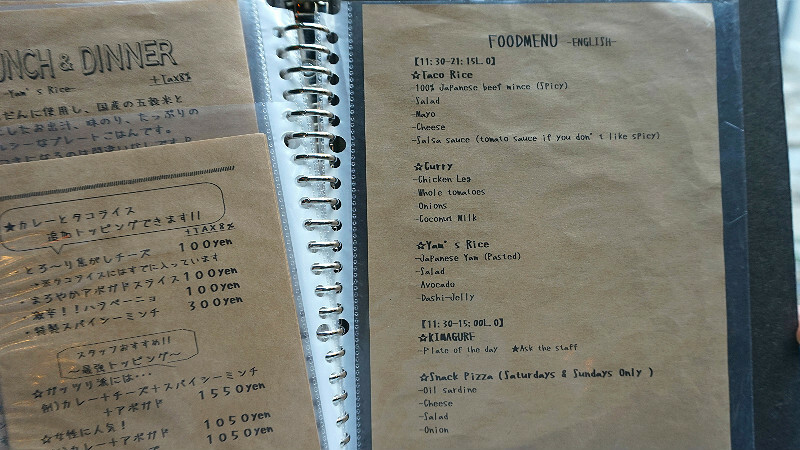 They have a simple menu in English, so you don’t need to worry about the language barrier. I recommend you cut the Mont Blanc cake in half and eat the first half right away, and the second half after 10 minutes. The Mont Blanc cakes are available until 6 p.m. and they have a limited amount of them, so I recommend going early. I really like these kinds of Kyoto-like town house cafes! These are places are great to relax in. The meringue in the Mont Blanc cake is interesting because it just melts in your mouth right away! The chestnut paste inside is so good I ate the whole cake in a flash and wanted to order another one. I think I found a great place to have some afternoon tea on the weekends! Keizo is a 9-minute walk away from Hankyu Omiya Station, and a 6-minute walk away from subway Nijojo-mae Station. Most of the dishes are on the English menu, and the staff can speak simple English, so you can go without having to worry about the language barrier. Japanese and partially in English.